We are a professional English to Mandarin Chinese translation team from China. All of us have at least 2 years of study abroad experience in the US/Canada/UK/Australia. We understand not only English itself, but also its culture. On top of that, we love what we are doing. Many of us are active members of fansub groups, which means we have created Chinese subtitles for many popular TV shows like Game of Thrones and Breaking Bad. One great advantage of being a team is we will always have someone else to proofread everything before delivery. If we are not happy with the quality, we won't deliver it to you. 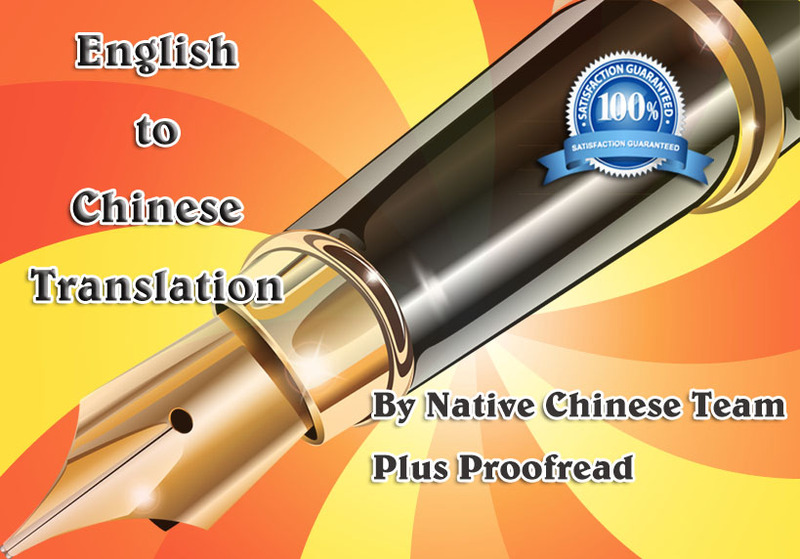 For $10, we will translate up to 150 English words; or proofread and correct up to 500 Chinese words; or add Chinese subtitles/captions up to 30 seconds(you have to provide English script; we will deliver both SRT subtitle file and final video with no extra cost). Contact us first if it is something very hard to translate. For example, brain surgery, rocket science, alien mothership's user's manual, etc. All translation will be done in a professional way. Again, we always proofread everything to make sure it sounds natural in Chinese. MANUALLY translate English into Mandarin Chinese OR add Chinese subtitles is ranked 5 out of 5. Based on 4 user reviews.